Help senior pets for as little as $10 a month. Become a Young at Heart Constant Companion member by pledging as little as $10 per month and make an incredible difference in the lives of homeless senior pets. Your ongoing support means that we can confidently say “yes!” to many more loving, amazing souls that need us to come to their rescue. These are senior pets that end up in shelters where they are going to be euthanized because they are considered "too old" for adoption. Constant Companions are the heroes who become monthly sustaining donors, contributing money all year round to help save the lives of senior pets. Your monthly commitment reduces the time we spend fundraising, helps us plan our operations, and – most important – allows us to rescue senior pets we would otherwise be unable to help. Knowing that we have your ongoing support means that we can confidently say yes to many more loving, amazing souls. 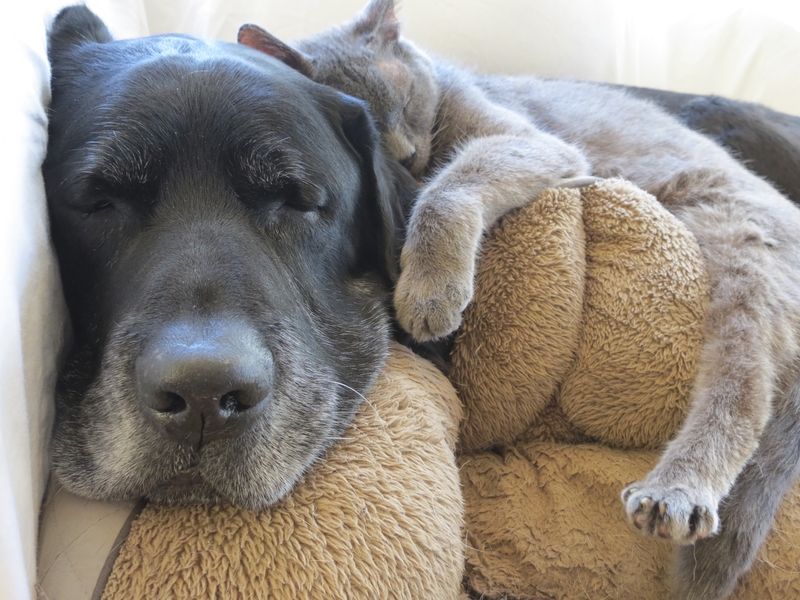 When a senior pet comes to Young at Heart, we promise them the "good life" from that point on. Often a senior pet rescued from a shelter is scared, underweight, and often sick from being in an overcrowded shelter situation. Their new lives begin with lots of love, all the veterinary care they need, grooming, training if needed, and then more love as we work to find them their forever homes. Our Constant Companion members make that possible. To sign up, choose the level that works for you (minimum $10 a month), and your credit card will be automatically billed for that amount each month. You can change or cancel your monthly donation at any time. An exclusive monthly newsletter just for monthly donors! Exclusive Young at Heart member swag shipped each Feb/March! Thank you for making a difference for senior pets in need!